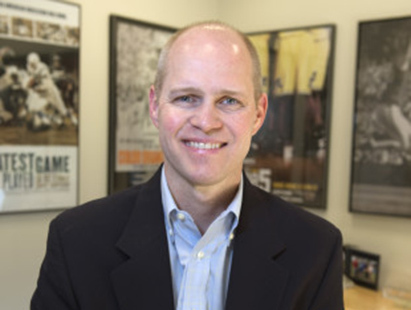 John Dahl, vice president and executive producer for ESPN Films and Original Content (@ESPNFilms), will be the keynote speaker for the luncheon at Making Connections, a regional journalism conference, at Southern Connecticut State University on Saturday, April 9. Dahl oversees all aspects of the Peabody and Emmy-winning 30 for 30 documentary film series, including 30 for 30 Shorts. He also heads up development and production of the SEC Storied series. Dahl has won three Peabody Awards and eight Emmys for documentary work. He will speak during the conference luncheon, which runs from noon to 1:30 p.m. on Saturday, April 9 at the Michael J. Adanti Student Center at Southern. During the lunch, student journalists will by awarded Mark of Excellence journalism awards. Directions to campus can be found here. The lunch is part of a regional journalism conference, which will attract journalists from New England and the tri-state area for two days of professional development programming. The conference is hosted by the Journalism Department at Southern Connecticut State University, with support from the SCSU SPJ chapter and the Connecticut Pro Chapter of SPJ. To register for the conference, or to get more information, visit the conference website here. 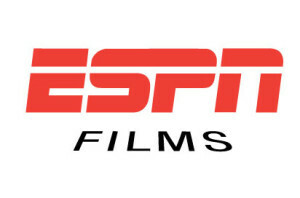 Dahl served as executive producer of documentary production dating back to the launch of ESPN Films in 2008. Projects he’s spearheaded include the Sports Emmy-nominated The Greatest Game Ever Played on the historic 1958 NFL Championship Game and Ali Rap as part of a trio of specials marking Muhammad Ali’s 65th birthday. He also oversaw a series of documentaries on the history of NASCAR as well as five specials that commemorated the 40th Super Bowl while serving as senior coordinating producer of ABC’s Super Bowl XL Pre-Game Show. Previously Dahl was executive producer of ESPN Classic and the Sports Emmy-nominated ESPN25 initiative after serving as a coordinating producer for ESPN Original Entertainment. His work included oversight of the 2002 ESPY Awards and a Sports Emmy-winning feature on the heroic measures taken by a group of Flight 93 passengers on 9/11. Before joining ESPN, he was a supervising producer and producer for CNN Sports in Atlanta and was ESPN’s first Chicago Bureau producer. Dahl graduated with Honors from the University of North Carolina with a Bachelor of Arts degree in Radio, Television and Motion Pictures.